With a landslide of shining serving vessels, prep tools, tea ware and more in their wings, Avanti flies in to your kitchen to inspire your everyday cooking. Have you heard of the health sensation sweeping the nation? Gluten-intolerant and health-conscious folk have ditched noddles and pasta for zoodles…which you can easily make using this Spiral Vegetable Multi-Blade Cutter. Its thin spiral blade creates spaghetti-sized cuts, while the thick spiral blade creates medium-thick curly cuts. Lastly, the ribbon blade makes wider cuts perfect for salads and more. It’s simple and safe to use, too. Just lift off the grey lid, use the spiked holder to keep a grip of your preferred vegetable, and then replace the lid. Turn the crank, and your vegetables will be sliced instantly, with your hands well away from any sharp blades. 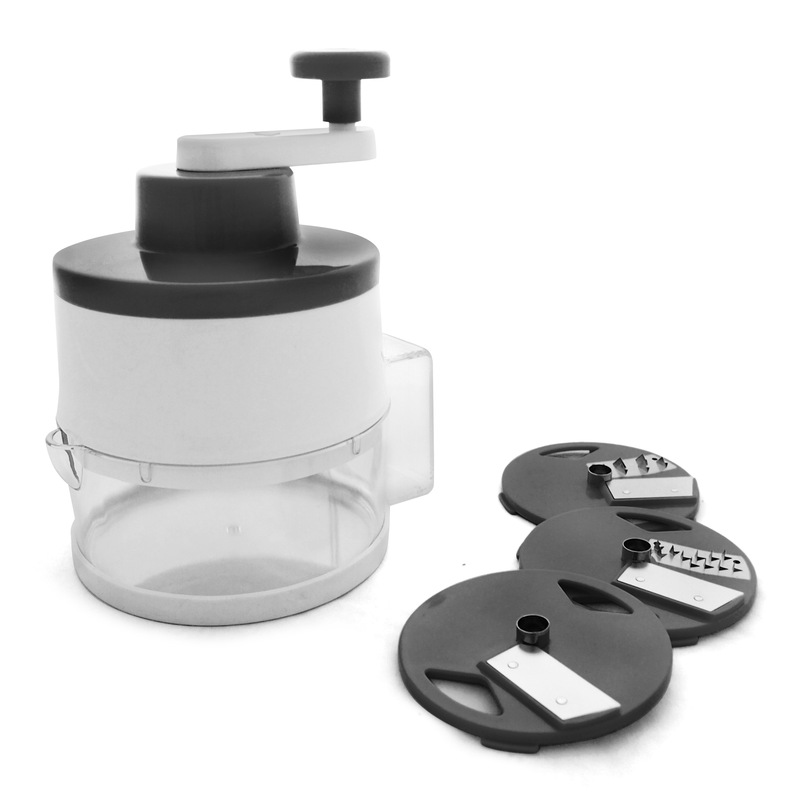 Made from food-safe plastic with stainless steel slicing blades. Three interchangeable blade plates including a thin spiral blade (for zoodles), a thick spiral blade and a ribbon blade. Crank handles provides smooth rotation and effortless slicing. Frame housing blade plate keeps fingers safely away while slicing. Blade plates simply slide and lock into place. Blade plates securely store in collecting container when not in use. Dimensions: 19cm (w) x 22cm (h).